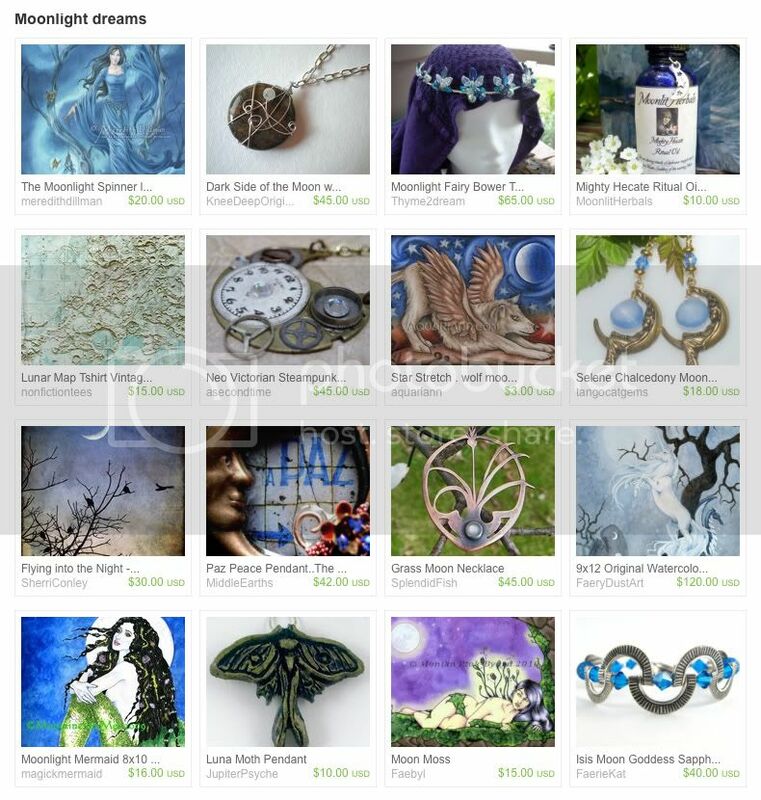 Twirl into the glimmering night with Fantasy Artist of Etsy, Amanda of Spiral Moon. My Star Stretch magnet has gravitated into her homage of that mysterious orb in the sky. Very nice treasury. I like how you used lots of repeating colors, shapes and motifs. It must have taken a while to put together! Aw, I know that song! I so love Joni Mitchell and your treasury!!! Great treasury! Love the theme. Pretty treasury! Looks like sweet dreams! Wow this is all very pretty. What a beautiful treasury!! I love that song and Joni Mitchell!! OOoo blue is my favourite colour! Meredith Dillman (featured in the above treasury) is a masterful artist! There were so many good things to click on in this one! Thanks for sharing.